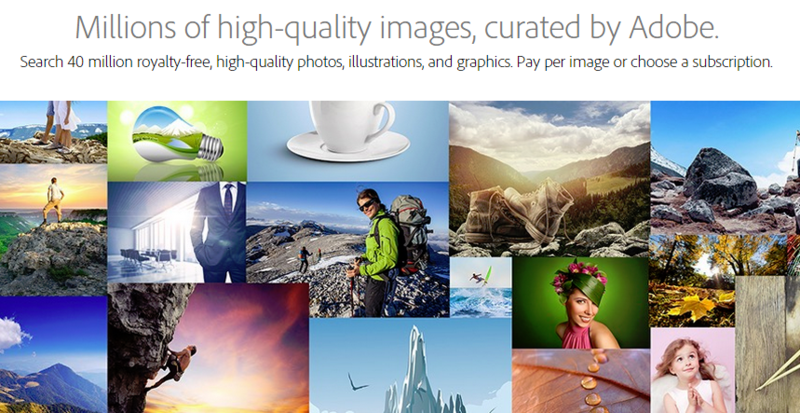 Adobe is expanding its service offerings with a new stock photo service called Adobe Stock. Adobe Stock is available through the Adobe Creative Cloud and aims to simplify the buying and using of stock content, including photos, illustrations and graphics. The service offers a curated collection of 40 million high-quality images and it deeply integrated into the latest releases of Photoshop CC, InDesign CC, Illustrator CC, Premiere Pro CC and After Effects CC. Designers can launch Adobe Stock directly within CC desktop software, add watermarked images to their Creative Cloud Libraries and then access and work with images across multiple desktop tools. Then, when it’s time to license images for finished work, creatives can do so directly within the desktop software they are working in. Plus, Creative Cloud’s CreativeSync technology ensures that all edits made on a watermarked image are automatically applies to the newly licensed image. It is important to note that Adobe Stock is also available as a standalone stock service, enabling designers and marketers who are not Creative Cloud members to download, purchase and sell stock images. Moreover, Adobe Stock is based on the acquisition of stock content provider Fotolia earlier this year. Adobe Stock also provides creatives with the ability to contribute content to the service, as well as offers simple and flexible pricing plans. In fact, creatives can buy single images as needed or purchase a monthly plan. That said, Creative Cloud members can save up to 40 percent by adding an Adobe Stock annual plan option to their membership, while creatives who sign up for a 10-images-per-month plan can rollover unused images for up to a year. The service is available in 36 countries and 13 languages.